The Ontology modularization is an essential field in the ontology engineering domain helping to reduce the complexity and the difficulties of building, reusing, managing and reasoning on domain ontologies either by applying partitioning or composition approaches. This paper carries out a survey on ontology modularization and presents a modular approach to build criminal modular domain ontology (CriMOnto) for modelling the legal norms of the Lebanese criminal system. 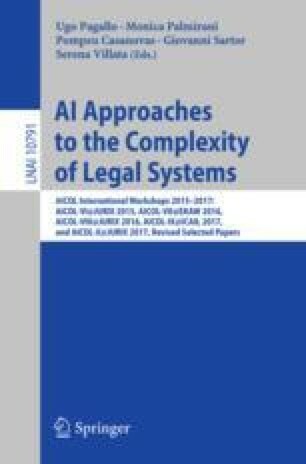 CriMOnto, which will be used later for a legal reasoning system, is composed of four independent modules. The modules will be combined together to compose the whole ontology. This work has been supported by the European Union with the European Regional Development Fund (ERDF) under Grant Agreement no. HN0002134 in the project CLASSE 2 (“Les Corridors Logistiques: Application a la Vallée de la Seine et son Environnement”), Lebanese University and the National Support from the National Council for Scientific Research in Lebanon (CNRS).